New Stitching Stencils by Ann's Paper Art. They will be available in the webshop from April. 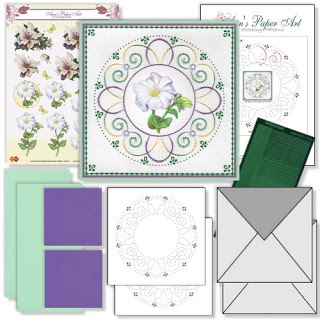 They are so very simple to use with most die cutting machines. Lovely clean cut and ready to stitch within minutes. Fantastic quality and a great price. 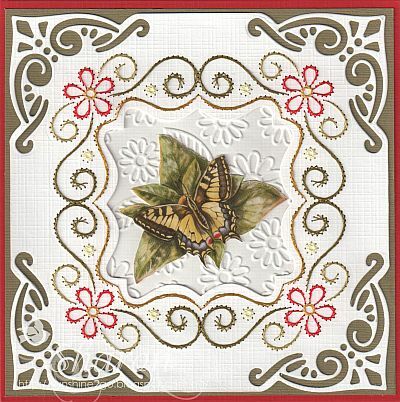 I have combined the new butterfly stencil with a Marianne design DS0915 embossing and cutting folder. Small Nellie Snellen floral flowers are amongst the stitching. 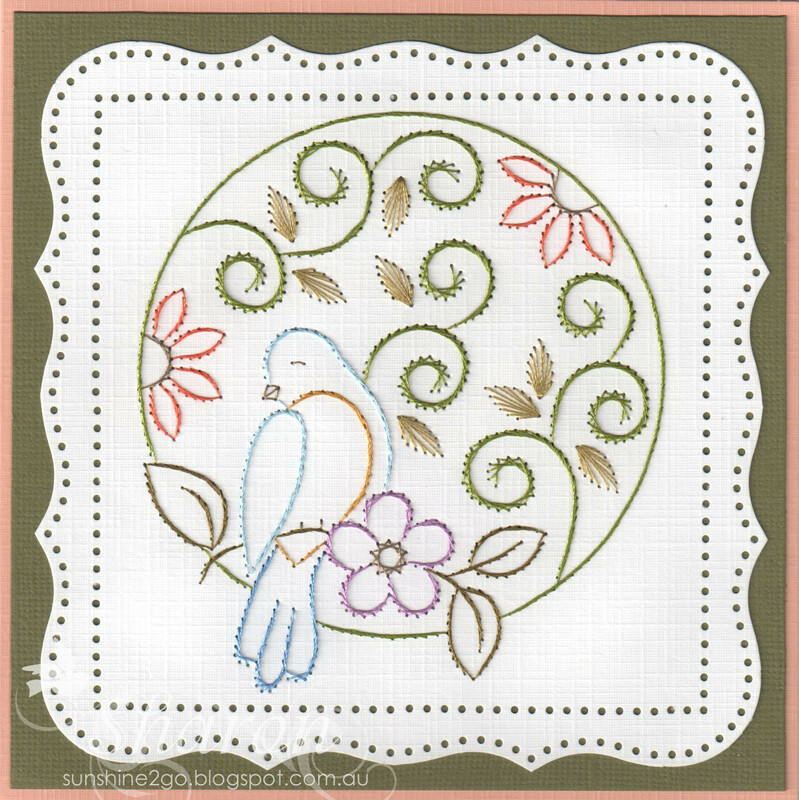 This beautiful stitching stencil has many components. 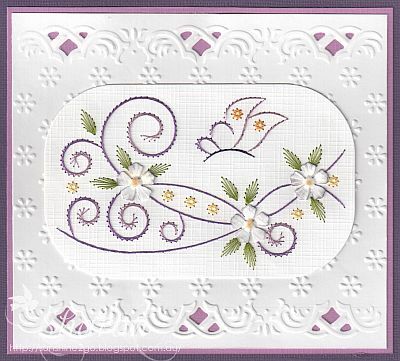 I have removed the centre of the card with one of the die cuts that comes in the package. 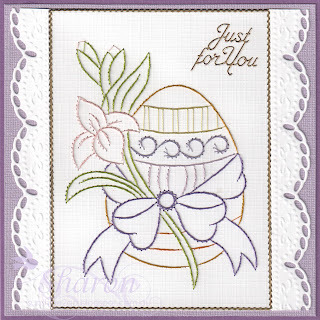 Which I then placed a piece of embossed card behind using the Nellie Snellen HSF008 embossing folder. 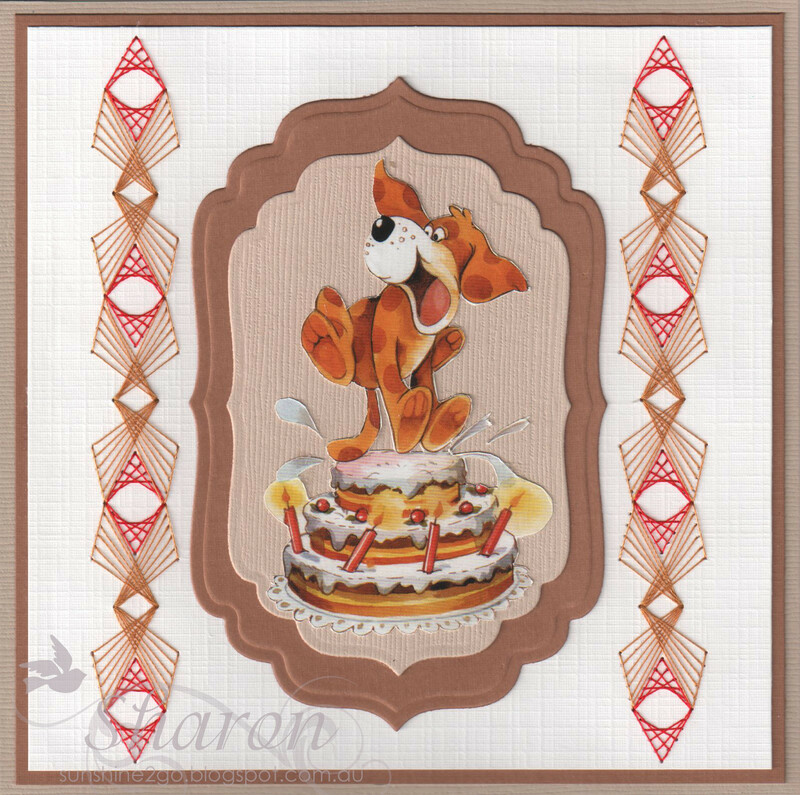 The corners have been die cut also with Nellie Snellen mfd027. Le Suh butterfly decoupage fits perfectly in the centre. 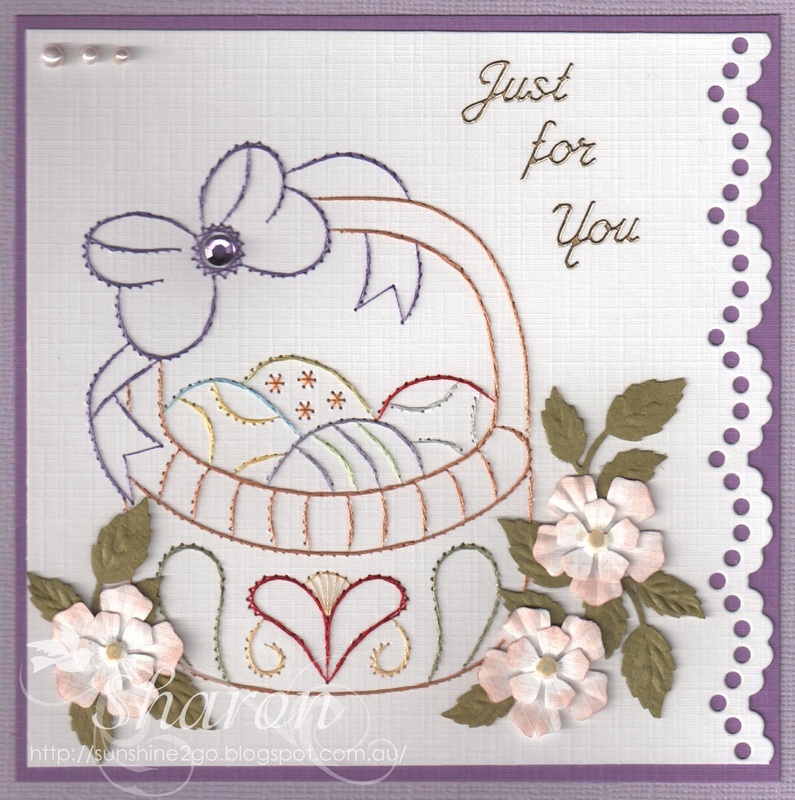 This beautiful circle stitching die also comes with many components. 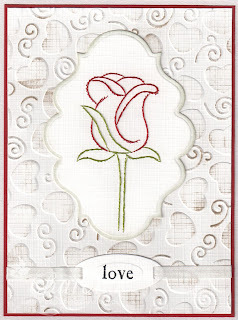 I have chosen to use the large circle die, it also comes with a beautiful rose die in the centre. 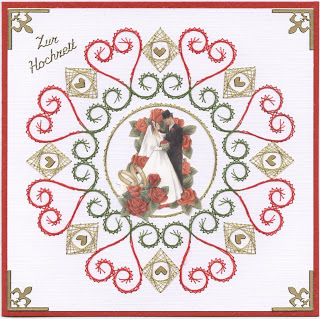 I will show you a card with the rose later. 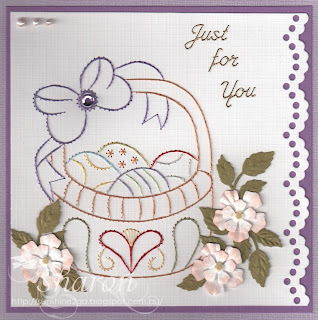 The beauty of this stitching die is that you are able to cut out the circle around the outer edge of the stitching die. If you like you can also cut a circle out in the centre of the card where I have the decoupage. The corner die is by Joy! 6002/0148. either as a download or you can order them and have them sent out. 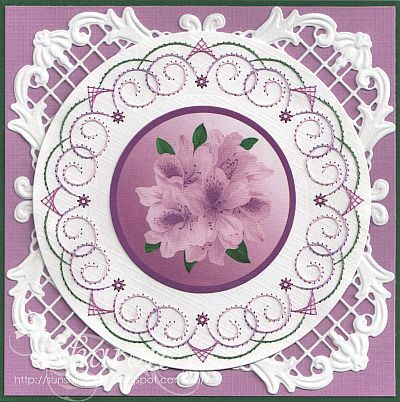 This month at Ann's Paper Art Forum my exchange card was for Annalie from South Africa. 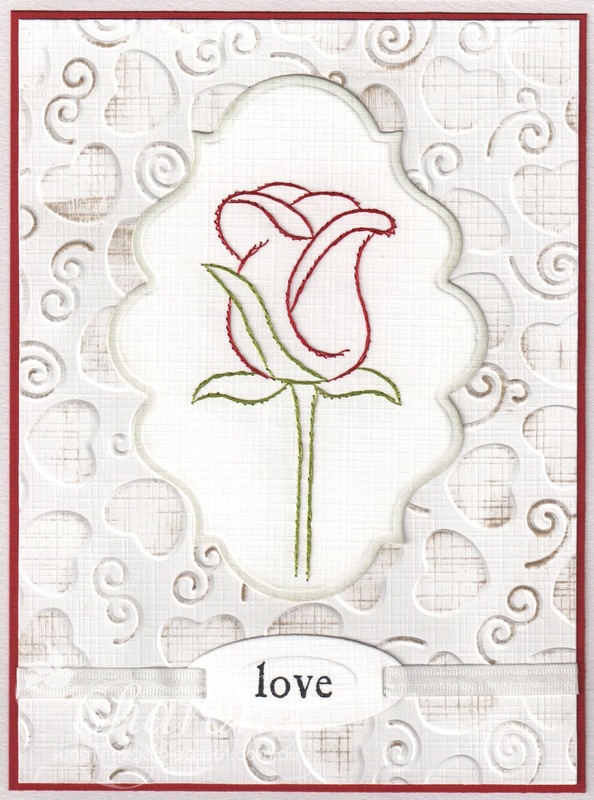 The pattern stitched is from Ann's Paper Art pattern number a906 Card Embroidery book 1. Threads used are by Mettler Polysheen, 6043, 6133, 232, 3641, 3761, 853, 2830, 1220. 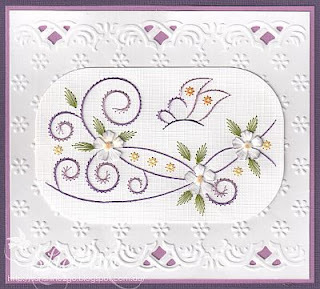 A beautiful round the page punch by Martha Stewart called Cherish sits outside the stitching very nicely. I always find it so much more difficult to make a card for a male. This week I have made one for my son's birthday using pattern a354 from Ann's Paper Art. Stitching once again I have used Mettler Polysheen 1903 and 821. I thought that the decoupage was just perfect. these are available from the webshop. 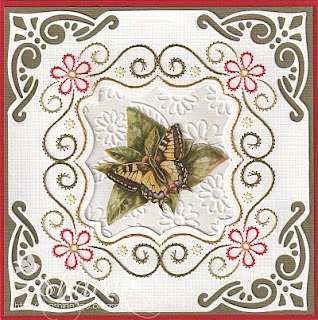 Your card/project must linked directly back to Ann's blog, please link the card and not your complete blog. For all the rules please check out at Ann's blog. Challenge closes on Wednesday 13th March 2013. 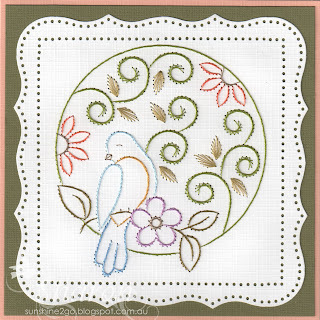 All participants will receive the free pattern when the challenge is finished. 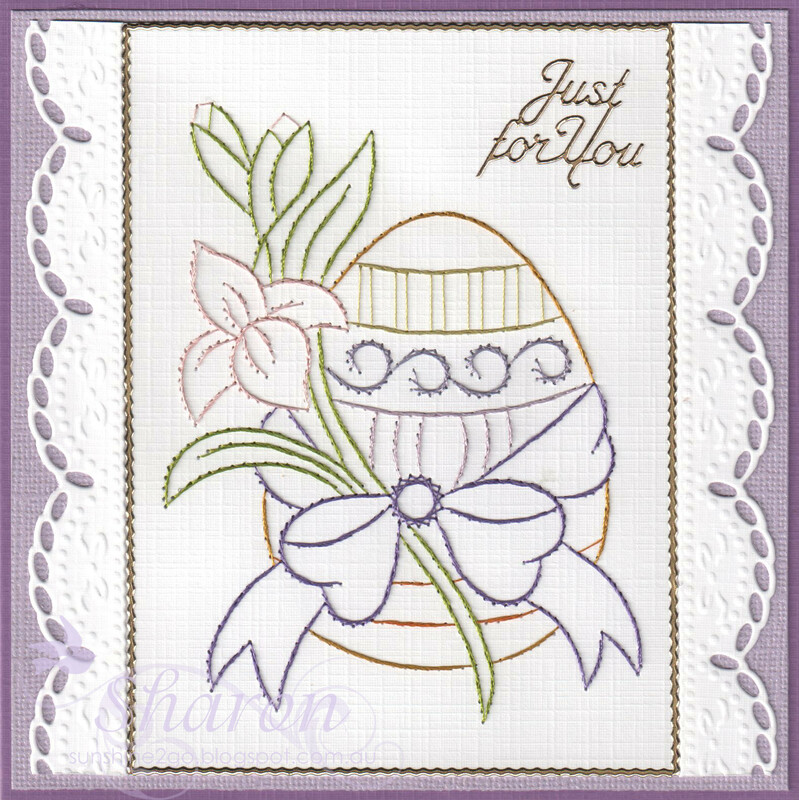 All participants will receive the stitching pattern for the card below when the challenge finishes on Wednesday the 13th of March 2013. The winner that is selected randomly will win the fantastic prize below. You have to be in it to win it, so come and join in the fun at Ann's blog.